Download Janapar from the film's official website. for top quality viewing on any device. Or buy now & watch later – downloads are accessible 24/7. If you’re on a fast wifi connection, you’ll probably be better off streaming the film through your browser. Tap to find out more. Enjoy Janapar on your iPad! How exactly does downloading Janapar work? We’ll send you a unique download link in a confirmation email. Clicking the link will start your download, just as any other file would be downloaded from the internet. The file is approximately 3GB in size, and will take from a few minutes to a few hours, depending upon your connection speed. 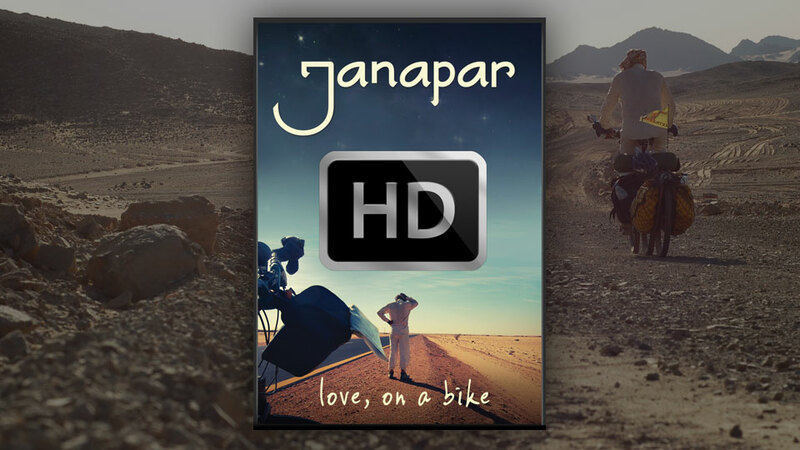 Once the download completes, you’ll have a file called Janapar – Love On A Bike (2013) [janapar.com].mp4 in your chosen download location. Simply double-click the file to play the movie in your default media player application. Alternatively, drag the file into your iTunes media library. What file format do you use? What if something goes wrong with the download? Our files are hosted on Amazon’s super-reliable cloud servers, used by some of the biggest brands on the internet to store and serve their files worldwide. You’ll be able to select the download location closest to you, and every download order placed allows for five attempts to download the file. While 99% of our customers are able to download first time without problems, we know that things sometimes go wrong. Connections can be interrupted, and download speeds slow or unreliable in some circumstances. That’s why our tech team is on hand to help you with any issues you may have with your download order. If you run out of download attempts, simply drop us a line and we’ll reset them for you. If you’re having trouble downloading the file because of its size, we also provide a ‘mobile’ version of the film with each order. It’s significantly smaller (900MB) and easier to download for those on slow or unreliable connections. Is the film compatible with iTunes? Absolutely! Simply open iTunes and drag your downloaded movie file into the library. Is the download iPad/iPhone compatible? We recommend the streaming option for smart devices. Click here to find out more. We provide free subtitles, generously translated by volunteers into 11 languages (see which), in the form of SRT files. These are supported by most modern playback software. Simply download the subtitle file in the language of your choice, ensure it is placed in the same folder as the movie file, and your software should automatically detect the subtitles. We’ll include a link to download the subtitles in your confirmation email. What extras do I get? The internet has given us the opportunity to share with you over 30 minutes of unseen bonus material, including a specially-made featurette on the making of Janapar; three deleted scenes that didn’t make it into the final cut; and a comedy outtakes reel. We’ll include a link to these in your confirmation email, and it’ll be accessible to you at any time.